A friendly creature ignores Guards and can attack creatures in any lane this turn. 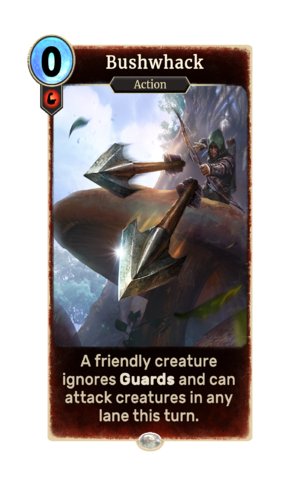 Bushwhack is a common Strength action card. It is part of the Houses of Morrowind expansion. This card applies the Ambushing card effect.